To find out more information about the Centre's permanent exhibitions opened in 2016 read the about us page. 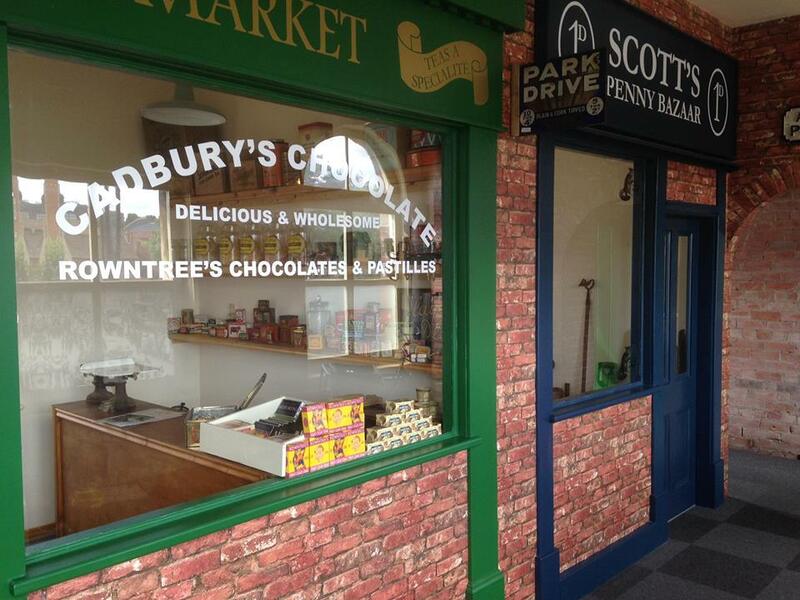 Check regularly the what's on page to keep updated regarding the changing exhibition displays. The Building of an Exhibition. In the very early days most of our exhibitions largely consisted of photocopied information Velcro fastened to freestanding boards. After a while we changed the way we displayed things and the creating of scenery had begun. The creating of an exhibition back in the beginning often came from a small group of volunteers who had several head scratching sessions, a few Eureka moments, and many days and nights of moving furniture and objects into position (not always the position it was to keep). It has to be said that our creative skill could easily out match Blue Peter, their sticky back plastic creations had nothing on some of our displays. Incredible depictions were created with boards, cable ties, string, good old sellotape, staples and anything else we could get our hands on. If we could imagine it, then we would create it! In addition to our creative display juices flowing we had managed to convince our volunteers that doing a bit of dressing up was a good idea! We were not wrong because we were finding that not only did the staff love the experience, but the visitors enjoyed their visit more and often came back with friends again and again. In our quest to give the visitor what we were sure they would enjoy experiencing, we had extra work to do ensuring that staff roles were given, characters named and information researched so we had enough knowledge to talk to visitors and answer their multitude of questions. I can assure you that there is no feeling better than having visitors joining in and having a bit of fun, in one instance this was provided by a cinema creation complete with screen, 1950’s adverts for movies, sweets and pathe news reel of the period. Much joy came from a peek round the curtain to see a room full of adults smiling and singing along to the Kid’s Club song from the Cinema. Of course, we also had our Usherettes on hand with torch in hand, just so make certain that there was no canoodling on the back row! We have achieved so much and it has at times been very difficult to think of interesting subjects to create exhibitions with. Some highlights came from many of the exhibitions for very different reasons. Bomber Command was extremely popular, not least for the NAAFI girls and our Gents in uniform. Many tears of laughter were visible at the varying pronunciations of some of the German place names, Heligoland being one of our favourites. 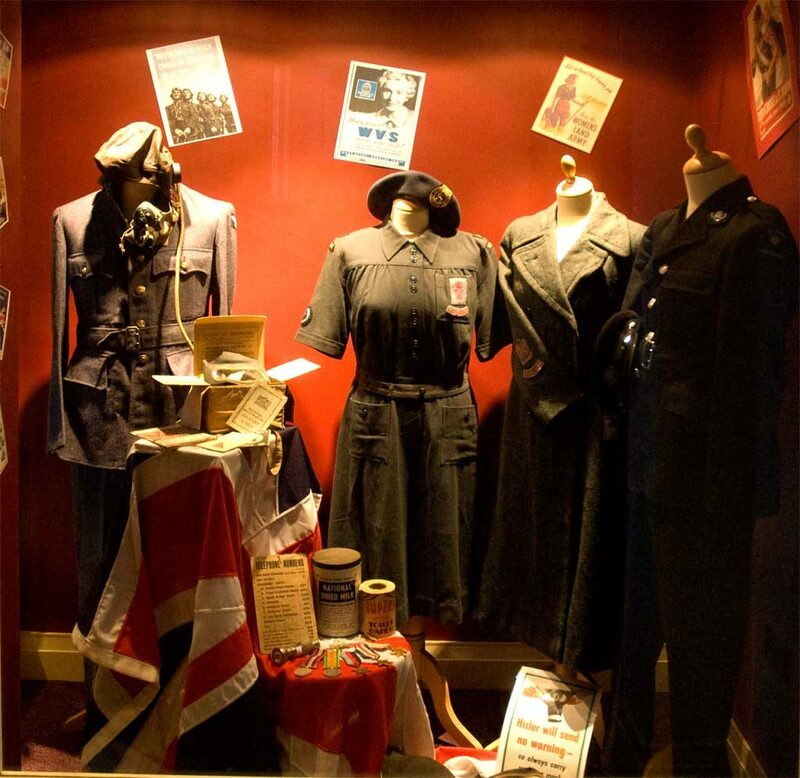 Our 1940’s displays often had several volunteers willing to do cooking and sewing demonstrations, the staff also developed a taste for 1940’s dress ups and after attending several dances, we organised our first one at the Weston Rooms in 2015. With the overwhelming success of our first dance, we organised our 2nd one in June 2016 at the Drill Hall. Much of the basis of what we have done has been on the principle “If we build it they will come”. What we have to offer is much more publicly accessible space than there ever has been, it equates to around 90% of the building that is set aside for displays and public facilities. The layout of the building has changed, we have other floors to discover and this has allowed us to concentrate on making areas more accessible.